You are here: Home >> Finishing Techniques > Which Polymer Clay Resin Should I Use? In this article find out which polymer clay resins I recommend, why I like them and what they are best used for. Not all resins are created equal, and there are a few that definitely tick more of the boxes than others. I love using resin with polymer clay. It gives a professional finish and it's a safe sealant to use. 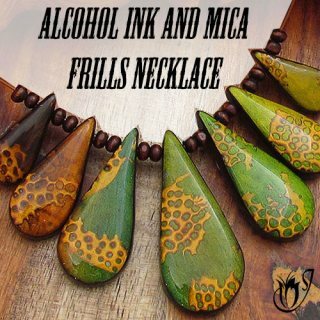 Many brands are formulated to be used with mixed media like alcohol ink and gilders paste. This reduces the likelihood of them reacting with your polymer clay or something you applied to the surface, the way many varnishes and sealers do. If you're new to polymer clay resin you may encounter a few hiccups. 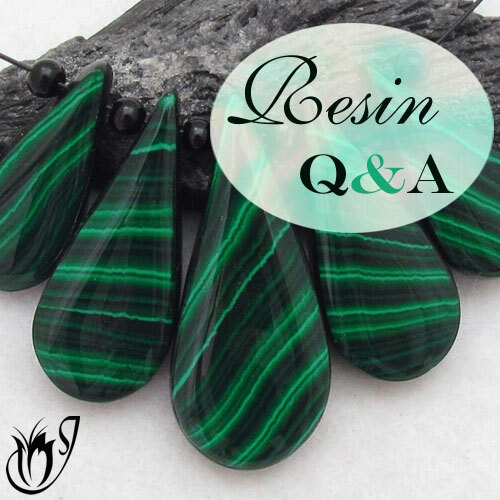 Be sure to check out my article: How To Seal Polymer Clay With Resin - Questions and Answers, to help get to the bottom of things. There are three resins that I recommend for use with polymer clay. Ice Resin 2 part epoxy resin. Lisa Pavelka Magic Gloss UV resin. They are the best options I have found taking into account the price, ease of use and end result. They are each slightly different, but they all achieve basically the same result. What can you expect from these polymer clay resins? They give a glossy, domed, professional finish very similar to glass. There are no tints when cured properly. All three are crystal clear. 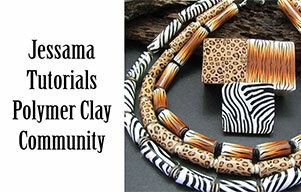 You can only use them on flat polymer clay beads and in bezels as resin will simply drip off of domed beads. You can’t expose these resins to intense heat so re-baking after the resin is applied is not an option. They all yellow (burn) if exposed to direct sunlight for too long. They are compatible with all polymer clay brands. They are strong and scratch resistant as long as you follow the curing directions for each resin correctly. Ice resin is a wonderfully clear resin specifically designed for filling jeweler's bezels, but I’ve found that it works really well when sealing polymer clay too. Due to its reasonable price and availability, it is my top recommendation. Price: It averages at about $30 for two eight ounce bottles, but you can get a lot out of it if you use it carefully. Consistency: Ice resin when first mixed will feel a lot like water, but over the period of about half an hour, it will slowly solidify into a thick syrupy consistency. You have half an hour to work with it before it becomes too hard. Within 24 hours it will have hardened to the touch if you mix it correctly. 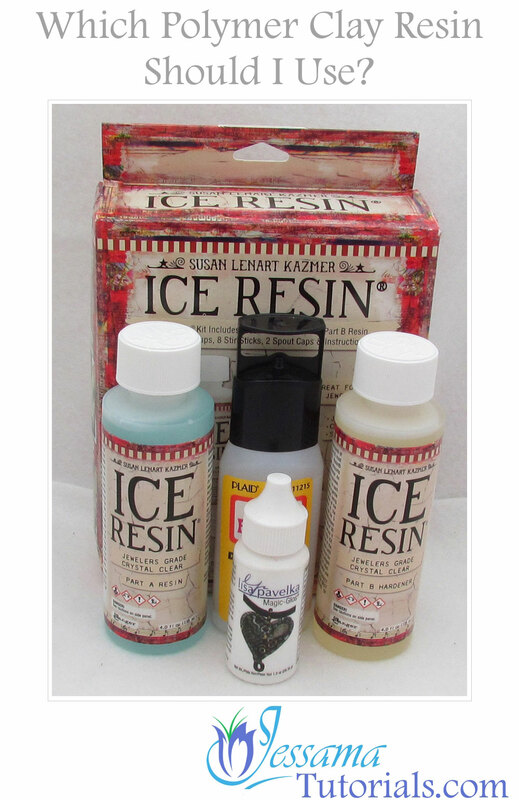 Availability: Ice resin is available in many online stores like eBay and Amazon. 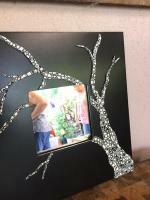 You can also find it on many craft websites. Please be aware though, some places will not export resin due to its flammable nature. Curing time: Ice resin takes about 24 hours to cure to the touch and a further 24 hours before you can use the beads. Mixing: This is a two part resin which requires accurate mixing. It's hard to mix accurately in small quantities, so I recommend applying your resin to batches of beads rather than doing one or two at a time. Your resin will be more likely to be mixed correctly and there will be less wastage. Uses: This is my go-to resin. 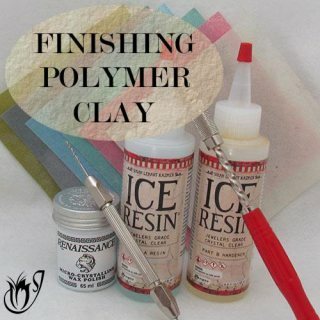 I use it for sealing many of my polymer clay beads, as well as, filling polymer clay bezels. Skill level: It’s a bit tricky to use compared to Magic Gloss and Ultra Dome, which are one part resins, but is well worth it after you’ve had a bit of practice because of the price. If you’re new to Ice Resin and plan to use it soon, please have a look at my Ice Resin tutorial. It will walk you through the process from start to finish, with lots of tips and tricks that will save you hours of frustration. Overall advantages: The cost is reasonable and you don't need a UV source or direct sunlight to cure it. 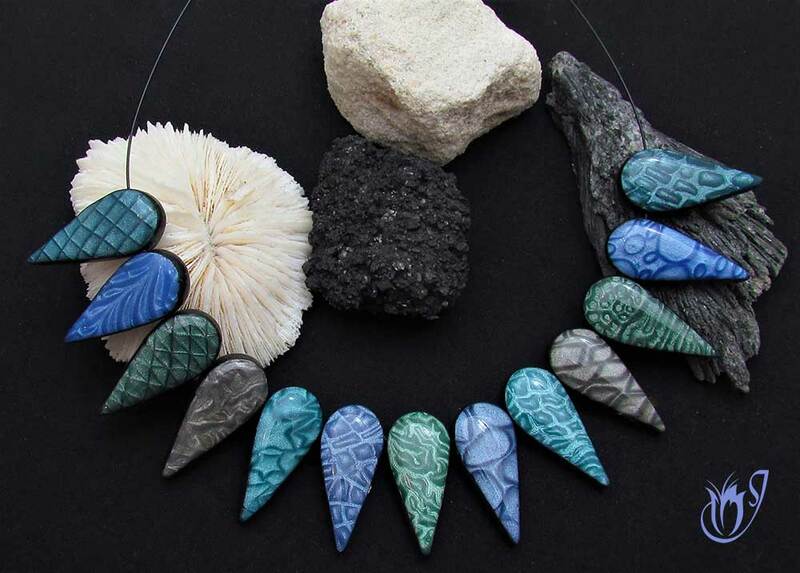 Overall disadvantages: It requires mixing and has a relatively short working time which can be problematic for if you're just getting started with polymer clay resin. It has a 24 hour curing time. Magic gloss is specifically designed for polymer clay. It's really easy to use but quite expensive. Price: Magic gloss is a lot more expensive then Ice resin and most other polymer clay varnishes. If you buy it from the cheapest online stores it will cost around $9 for one ounce and about $45 for a six ounce bottle. Consistency: Magic gloss is just a bit thicker than water when it’s first poured onto your chosen polymer clay beads. It then progressively takes on the consistency of thick syrup until it finally hardens to a glassy finish. Availability: Magic gloss is widely available at many online polymer clay stores along with some offline stores. Curing time: It cures within 10 minutes under a UV lamp or direct sunlight. But please remember it will not cure if just left on your work surface. You must expose it and it's best left for an hour or two before you use the beads. Mixing: Magic Gloss is a one part polymer clay resin that can be used straight from the bottle with no mixing. Uses: I use this resin sparingly because of the cost, but it's really great if I'm in a hurry, because it has a really short curing time. It's also a good option if I only want to resin one or two beads because there's no mixing required. I wouldn't use it to fill bezels. It's too expensive. Skill level: Magic gloss is easy to use and is a great way for beginners to get the results they’re looking for without having to deal with two part polymer clay resins. Overall advantages: There is no mixing required and it has a really short curing time. Overall disadvantages: Magic Gloss is expensive and you will need direct sunlight or a UV lamp to cure it. Ultra Dome is a newish addition to the market. It isn't specifically designed for use with jewelry or polymer clay, but it gives good results, so it's worth a try if you can get hold of it. It has a lot of advantages for beginners. Price: Ultra Dome is about $12 for 2 ounces so it’s cheaper than Magic Gloss but more expensive that Ice Resin. Consistency: It starts out runny like thin syrup and will harden to a glassy finish. 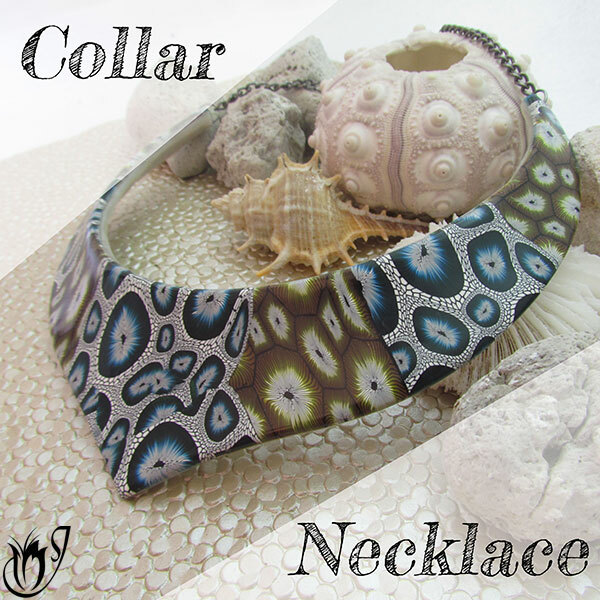 It only hardens when exposed to UV light or direct sunlight, so there is no time limit when working with it. Availability: Ultra Dome is the least readily available of the three resins, especially outside of the United States, but the company is currently growing its market so it's worth keeping an eye on it. Curing time: Curing takes about half an hour to an hour under UV light or direct sunlight. It will not cure if you just leave it on your work surface. Mixing: Ultra Dome is a one part resin that can be used straight from the bottle with no mixing. Uses: This would be my second choice after Ice Resin for sealing beads. It's still a bit expensive to use extensively, but it's easier to use than Ice Resin and cures more quickly. For beginners it would probably be my first choice. It isn't a good choice for filling bezels though. If you don’t get the UV light or sunlight shining directly onto all of that resin, some parts can come out uncured while other parts are cured. This can lead to a horrible mess. Skill level: This is a very easy polymer clay resin to use as it’s only one part. Just pour and cure. Overall advantages: No mixing and a reasonably short curing time. Cost is middle of the road. Unlike most resins it doesn’t pull away from the edges of your beads as it cures. Overall disadvantages: The need for direct sunlight or a UV lamp for curing. Availability can be a problem at present. Sometimes you’ll find that it’ll sag in the middle of the bead during curing which can lead to an uneven finish. It is toxic. Because of the fumes you really have to use it outside and with a face mask. It can cause skin burns on contact so you need to wear gloves. It requires a catalyst to start the chemical reaction which is very difficult to measure accurately, unless you are making huge batches. It has a sticky consistency that is difficult to work with. It does not cure well in humid climates. The resin tends to remain sticky to the touch even after being fully cured. It doesn't give the same glassy, clear effect as the epoxy resins above. It is substantially less expensive than the epoxy resins, so I messed around with it for quite a while trying to get it to work for me, but eventually I gave up. It's not worth the hassle. Ice Resin is reasonably priced and you don't need a UV source or direct sunlight to cure it. But it requires mixing and has a relatively short working time which can be problematic for beginners. It also has a 24 hour curing time which can be a pain. The advantages make it worthwhile using though, so please have a look at my Ice Resin tutorial for tips and tricks to make the process easier to navigate. Magic Gloss can be used straight from the bottle with no mixing required and it has a really short curing time. But it is expensive and you will need direct sunlight or a UV lamp to cure it. Ultra Dome requires no mixing and has a reasonably short curing time. It's more expensive than Ice Resin, but cheaper than Magic Gloss. 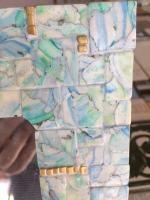 Unlike most resins it doesn’t pull away from the edges of your beads as it cures. But you need direct sunlight or a UV lamp for curing. Availability can be a problem at present. And sometimes you’ll find that it’ll sag in the middle of the bead during curing which can lead to an uneven finish. So What's the verdict on polymer clay resins? My personal favorite is the Ice Resin. It suits all of my needs and I've learned how to work with it to the point where it very rarely gives me any trouble. However, it can be tricky to use in the beginning, so don't forget to check out my Ice Resin tutorial for a step by step walk through. Otherwise, I would recommend trying to get hold of some Ultra Dome. It's a good compromise between price and ease of use. When you become more comfortable with using resin you can always give the Ice Resin a try. Magic Gloss is good to have in the cupboard for use in a pinch, but the price really makes it impractical for anything more than this. The information on this page is the result of a lot of trial and error with lots of different resins, so I hope you found it useful. If you did, please like and share, and let me know how it goes in the comments below. If you're having problems, don't forget to check out my article: How To Seal Polymer Clay With Resin - Questions and Answers. You should find the answers to your issues there.